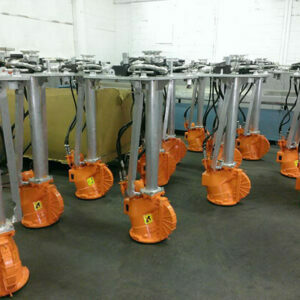 DBD (Disc/Brush/Drum) Skimmers – SOS Safety International Inc. The DBD excels in a wide range of oils from light to heavy. The Disc/Brush/Drum is a high efficiency skimmer for industrial, harbour and coastal water applications. The DBD excels in a wide range of oils from light to heavy. The BRUSH banks are available to enhance heavy oil recovery and the Disc/Drum banks are available for light to medium oil recovery. These units simply slip in and out of the skimmer head. The DBD skimmers may be supplied as independent units or as modules that fit on top of other skimmers such as the TARANTULA, TERMINATOR, TERMITE or DOP-DUAL 250. The DBD skimmers are produced in a variety of configurations – single, twin or triple banks of rotating oleophilic (oil attracting) Disc, Brush or Drum. Independent hydraulic, electric or pneumatic motors drive these discs. Oil is recovered from the water as it adheres to the surface. As the discs, drum or brushes are rotated through the skimmer head oil is collected in the central sump on a continuous basis. The skimmers have high efficiency – up to 99 percent! Speed can be varied to optimise efficiency according to conditions. 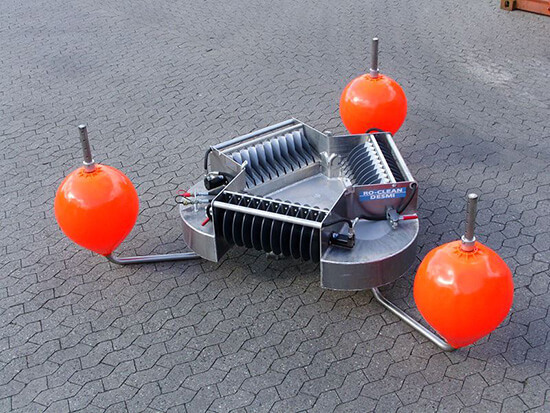 The marine versions of the DBD skimmers are hydraulically driven and available with powerful thrusters for remote positioning of the skimmer head. These skimmers may be supplied as independent units or as modules that fit on top of other skimmers such as the TARANTULA, DOP-DUAL 250, TERMINATOR or TERMITE. The industrial DBD skimmer is offered in a choice of sizes and drives to suit the application. The DBD 2 skimmer is a small highly efficient skimmer for industrial, harbour and coastal applications. The skimmer excels in all types of oil from light through to heavy due to the oleophilic disc/brush-drum bank. These highly versatile skimmers are in use around the world. 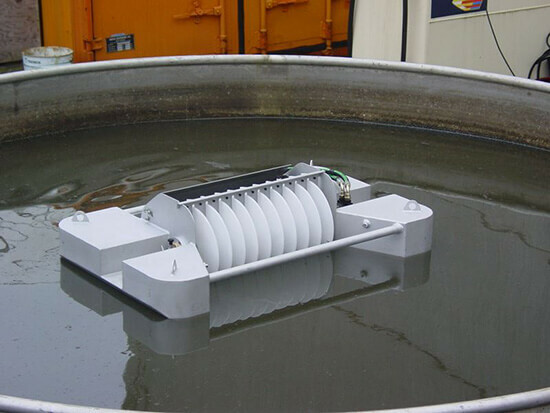 Robust design – thick PVC discs combined or a sturdy brush-drum mounted in an aluminium body ensure that the DBD skimmer will withstand the most arduous conditions and training programmes. Highest efficiency in independent tests – The DBD range of skimmers had the highest recovery efficiency : 98% in 10 mm of diesel, 99% in 25 mm of diesel. The electrically powered DBD 5 is a small highly efficient skimmer for industrial, harbour and inland applications. The skimmer excels in all types of oil from light through to heavy due to the oleophilic disc/brushdrum bank. These highly versatile skimmers are in use around the world. Electric drive ensures no external power pack is required for this skimmer. 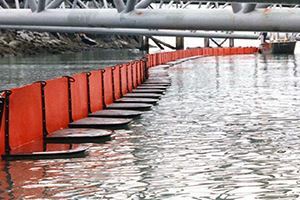 The DESMI DBD13-4 Ultra High Capacity Skimmer System is lightweight for easy one-man handling and suitable in a wide range of environments including recovering oil in ports, harbors, rivers, and coastal areas. Designed to utilize interchangeable brush and disc recovery banks, the skimmer is capable of recovering a wide range of oils. Modular system arrangement – interchangeable between brush and disc. Rapidly deployed, easy to connect. 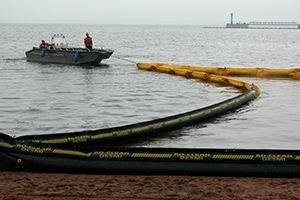 High capacity oil recovery for a wide range of spill conditions – Very low water content of between 2-5% (Certified by Lloyd’s). The DBD 16 is a highly efficient skimmer for harbour and coastal applications. The skimmer excels in all types of oil from light through to heavy due to the oleophilic disc/brush-drum banks. These highly versatile skimmers are in use around the world. 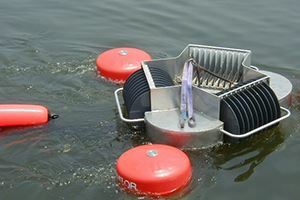 Robust design – thick PVC discs combined with a sturdy brush-drum mounted in an aluminium body ensure that the DBD skimmer will withstand the most arduous conditions and training programmes. The DBD20 is a highly efficient skimmer for harbour and coastal applications. The skimmer excels in all types of oil from light through to heavy due to the oleophilic disc/brush banks. These highly versatile skimmers are in use around the world. 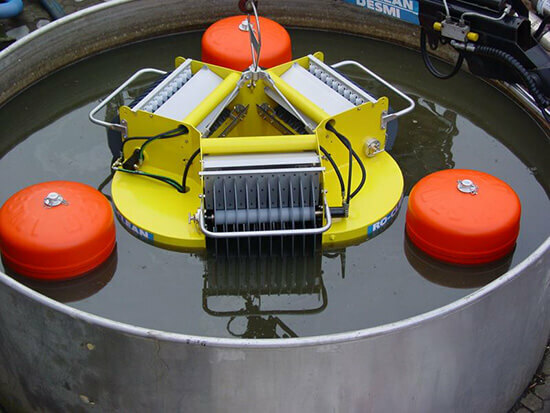 Robust design – thick PVC discs combined with a sturdy brush mounted in an aluminum body ensure that the DBD skimmer will withstand the most arduous conditions and training programs. Highest efficiency in independent tests – The DBD range of skimmers had the highest recovery efficiency: – 98% in 10 mm of diesel, 99% in 25 mm of diesel. 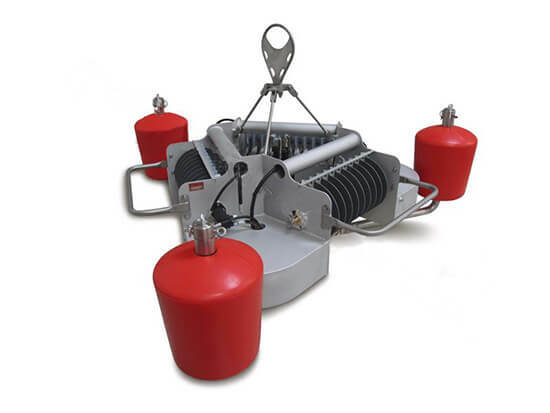 The DBD40 is a highly efficient skimmer for offshore and coastal applications. The skimmer excels in all types of oil from light through to heavy due to the oleophilic disc/brush-drum banks. These highly versatile skimmers are in use around the world.